We are often limited by our own perceptions and self-image. The playback in our minds is so powerful, that it will actually create an inability to rise above the negative image that we believe ourselves to be. We get stuck in a self-perceived disqualifying cycle that disables us from the full life God intended for us and made possible by Jesus. I saw this illustrated as I read 2 Samuel 9 about the story of King David and Jonathan’s son Mephiboshet. 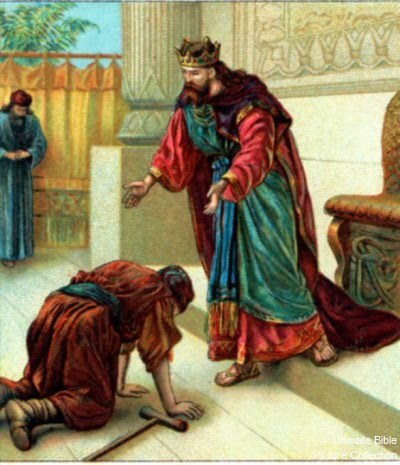 By this time, King David is well established on his throne and he remembers the promise he made to his best friend Jonathan, the royal son of former King Saul. Ziba answered the king, “You’ll find him in Lo-debar . . .” King David had him brought from the house of Machir . . . in Lo-debar. I was struck by the fact that David was not eaten up with rage to take vengeance on the descendants of King Saul. He could have been . . . Saul hated him and sought to kill him all those years. This former king of Israel became possessed with an evil jealousy that consumed him with hatred and finally, a murderous spirit. From the time David killed Goliath, Saul was offended even by his presence and he ultimately became obsessed to kill his perceived enemy. David, however, was a man of a different spirit: He refused to allow the foul-spirited environment he lived and worked in at the king’s palace affect his heart. Rather, he chose to live safely secure in God’s Presence, trusting Him for his full protection. He never considered King Saul to be his enemy just because he was hated; rather, David went after the enemies of his God and of his nation. The nature of a shepherd protects the sheep from wolves whose intent is to kill. A shepherd does not see other sheep who need discipline as the enemy. David was a man of his word: He made a covenant to Jonathan to bless his household, and now, as king of Israel, he was in a powerful position to follow through on what he had promised. We can only imagine the changes that took place for Mephiboshet after his grandfather and father were killed in battle. At this news, and fearing for the life of the little royal child, his nursemaid ran with him from the palace, falling on the child and permanently disabling him. In one day, Mephiboshet lost his family, his royal position of privilege, and he became permanently disabled. It was a life trauma indeed. The king of Israel finds Jonathan’s son living in a city called in Hebrew “Lo-debar (לו דבר),” which loosely translated means “nothing,” or, “[land of] nothing” (9:4,5). It pretty much sums up the attitude Mephiboshet about how he felt about himself – his own self image – “I’m nothing.” Living in “Nothing” Town seemed to fit the story of his life. Out of nowhere, Mephiboshet is summoned to the royal palace to stand before the King; but, he cannot stand because of his disability. So, in humility, he prostrates himself before the King. After all, he knows who he is – a disabled nobody from Nothing Town. “Mephiboshet son of Jonathan son of Saul came to David, bowed down to the ground and paid homage [to the king of Israel]” (9:8). Now I’m sure as Mephiboshet is on the ground, his life is passing before him. He knows the reputation of Grandfather Saul and how he mistreated David. He knew what he deserved. What he did not know, however, was the covenant of deep friendship between his father Jonathan and the present King of Israel. David and Jonathan had to keep their alliance very secret or it would have cost them both of their lives! King David was a man of covenant faithfulness; he was a man after God’s heart! But, all the while, and face down on the floor, Mephiboshet may have been thinking, I deserve whatever punishment the king chooses to give me. I am worthless – a nobody. As his name reverberates across the palace halls into the courtyard, Mephiboshet scrambles to “stand” on his disabled, deformed limbs before the King – as eye level as he can manage. In this moment, the king restored to Mephiboshet his full inheritance, farms that would bring great wealth, the power of being a landowner, influence as an elder in the city and his tribe, and a royal sonship position in the palace with a life-time reserved seat at the King’s table! He was moving up from Nothing Town to Jerusalem, God’s city! Here are two contrasting profiles: Royalty, and a dead dog. King David saw Mephiboshet as a royal son of the palace, but Mephiboshet saw himself as a dead dog who lived in Nothing Town and who felt he deserved life-long punishment. We often find ourselves in agreement with the negative whispers in our ear: You know, you really are nothing but a dead dog . . . you’re never going to amount to much. Look what your family has done! The best you could ever hope for are some crumbs from a rich man’s table and a resident address in Nothing Town. There is only one power that the enemy of our souls has to use against us and that is to lie to us. He actually has no power over us; Jesus gave us all power and authority through his name. So, the only power Satan actually has over us is what we relinquish to him. And, that only happens when we agree with the lies that the enemy feeds us. So, here is Mephiboshet, tuned in to the I’m-a-dead-dog-livin’-in-Nothing-Town lies of the enemy – a mindset that is hard to change. His self-talk was convincing him to refuse the king’s offer. We have to press into our breakthrough opportunity if we ever hope to break out into the person God created us to be. I believe God showed David the real person of Mephiboshet– how he is known in heaven – and David went after it with his shepherd nature. Mephiboshet was eventually convinced of the king’s kindness and he did move to Jerusalem to eat from the king’s table. I believe we too have the opportunity to upgrade someone in our life. We’ve all met people who communicate an “I’m not worth anything to anyone” attitude. But God has given us the power to encourage people – or discourage people; to empower people with courage or to take it away. We have the power of words that either bring life and health, or sickness and death. Our words are so powerful they can kill a spirit – or, give it life and see a dying spirit live again. I always want to be the kind of person who breathes life into people with words of encouragement. David was just that kind of man. God had breathed life into Him at his most desperate hour and now he wanted to release mercy and kindness with the same generosity as God had shown him. The greatest expression of mercy and compassion is that which we give to someone who does not deserve it. Determine to upgrade someone today. We can do this by reminding them who they are – their heavenly identity – and watch a transformation take place. Determine that your words today will bring life and health to someone’s spirit. Lift them up off the floor from their groveling I’m-good-for-nothing attitude, and look them in the eye as you remind them that, they are, in fact, created to be a royal son of the Living God through the blood of Jesus, with great purpose and destiny to glorify the Lord. Tell them that they were created to move from Nothing Town to Jerusalem, to eat at the King’s table. Demonstrate honor to them in a tangible way, and watch them emerge into the person God created them to be. Words of encouragement call out the genuine person who is buried beneath a weight of guilt, shame, and a lifetime of disappointments. David operated out of a core of extravagant kindness and deep compassion. Mephiboshet lived in Jerusalem because he was expected to eat at the king’s table every single day. The king called Mephiboshet up into his true royal identity that was hidden under his own personal shame and physical disabilities. Mephiboshet had been identifying himself by the shame of his grandfather who had betrayed God and caused his family to be ravaged by the enemy. And, he had been identifying himself by his physical scars that he carried from that fateful day of sorrow and grief. Mephiboshet had come to associate that trauma and his handicap as something he deserved. He branded himself as a dead dog (something truly hated as evil in the Middle East) and even referred to himself by this name. Mephiboshet had grown to identify with his disability and life of shame with a resigned this-is-as-good-as-it-gets attitude. But, God did not see Mephiboshet that way. I have come to learn that God will often find one in a family that he can demonstrate mercy and love to, and God intended to show his kindness to Jonathan’s family through Mephiboshet. You see, God saw him still as royalty; he felt deep compassion for Mephiboshet’s grief, and planned to restore everything he had lost when his father and grandfather died in battle. He’s just good that way. David – always close to God’s heart – went after the treasure he saw in Mephiboshet. He purposed to create the environment for him to live as a royal son of the palace – yes, even to thrive! – though he no longer had any legitimate claim to the throne. And, David saw what God saw: The heavenly identity of Mephiboshet. He set out to extend kindness by honoring him because of his covenant of friendship with Jonathan and his descendants. Jesus did that for us. He went after us like King David went after Mephiboshet with his dead-dog-living-in Nothing-Town identification and gave us an upgrade through his blood because of his great love. As a result, we became royal sons with a full inheritance through Jesus, along with the kingly status to rule and reign with Him in heavenly places. 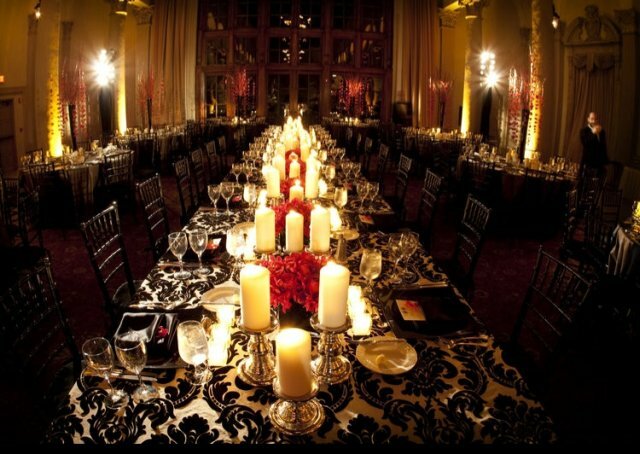 We eat in the Palace with the King of the universe every day – bread and wine served up from His table. We now live in a perpetual more-than-enough state of God’s extravagant abundance. How easy it is to define ourselves by the circumstances of life. We mistakenly identify ourselves with our physical or economic situation – even long after our situation has improved for the better – because we developed a wrong mindset. For instance, a person with a long term illness who recovers or gets healed by God’s supernatural power may continue to have the mindset of an ill person. While ill, this person was very limited in what they could or could not do. Now, without the limitations of that illness, they are no longer bound and can lead a normal life. But the mind has to change its behaviors and unconscious habits in order to catch up to the new, improved state, and that takes time to make the adjustment. To change a wrong mindset, we must partner with God in an intentional manner. A person who has grown up in a very poor economic state, for instance, but has gone on to improve their circumstances considerably later in life, very often has a difficult time making this change in their mind. They still have a poverty-mindset that does not allow them to fully function as a person who has not grown up in those circumstances. So, even with an abundance of financial provisions, this person will continue with a poverty mindset – often unable to really enjoy their abundance. Their new economic situation requires a new mindset – and with it, a new identity. Our inheritance is the mind of Messiah Jesus. We can appropriate Heaven’s thoughts. Now that his circumstance had changed, his mindset had to change! In order to maintain his healing and experience the full life Jesus intended him to live, this man had to create new patterns of thinking in his brain that agreed with his healing. He would need an after-the-healing mindset shift that would also upgrade his relationship with God. Thanksgiving and gratitude establishes an atmosphere of joy in an upgraded relationship with God. I’m sure after he was healed, his prayers were no longer whiney and pitiful, but rather, were full of joy. His face would have revealed this transformation! 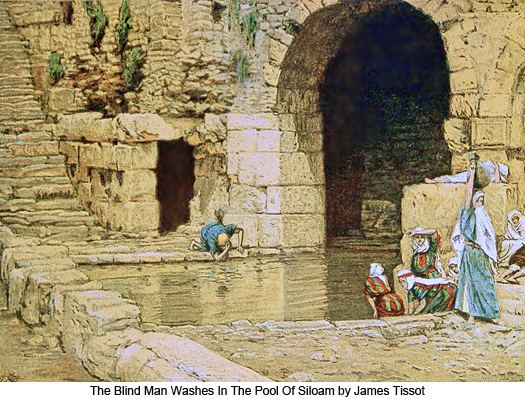 I have a personal interest in these stories that I use as illustration, because like the man at the Pool of Siloam and Mephiboshet, I too was legally disabled for many years. My natural Mother Rose was born with a joint and cartilage genetic degenerative disease called Ehlers-Danlos which severely deformed her hips, legs, and knees. My siblings and I have suffered with various forms of this same disease which has required surgery for several in the family. I personally have had 2 major surgeries on my knees, and a third surgery that complicated my joint mobility, along with years and years of painful, slow rehabilitation. Many of those years I used the aid of crutches, wheelchairs, canes, walkers, and I too sat at the pool everyday utilizing warm-water therapy. I got used to people staring at my brother and I on crutches and braces everywhere we went. We were definitely an oddity to look at. I know what it is to be labeled “disabled” and to walk around with that mindset for decades. In my own mind, I excluded myself from most things –even from that which was physically possible – because my mind had already disqualified me with fears. “I need your healing Jesus!” And, He has always answered; and with His healing, I had to move through a mindset shift yet again. Jesus has always been my Healer – through all of my surgeries and painful rehabilitations. I continue to depend upon His total and complete healing of my body every day. I am the most unlikely person to travel the world and walk in the nations, praying for God’s blessings. By all rights, I should be unable to walk at all without great difficulty and intense pain. Oh, I do experience pain in my hips and knees and feet, but it is never a deterrent to God’s purposes for my life! I am a walking miracle, and God’s love overwhelms me! I was legally disabled, and now I am not! Now I release healing in other people’s bodies and have seen scores of people healed in their joints. I continue to experience healing as I need it. Jesus is everything I need . . . and so much more! My prayer is that the revelation of God’s glory will displace any lying perception that has kept you from receiving your full healing and inheritance today . . . to the glory of His Son, Amen. NOTE: I’d like to thank the leadership of David Crone, Dan McCollam, and Graham Cooke at The Mission for such powerful impartation of these principles that have come alive in my spirit and for creating a safe environment in which to thrive and mature in my journey with God. For more resources on your identity in the Messiah, check out The Mission online store and Graham Cooke’s online store.